I’m putting my cards on the table here; I’m a Jane Austen fan. My three favourite books of her are – in order – Persuasion, Pride and Prejudice and Emma. Because I love her characters so much I’ve read a few Pride and Prejudice spin-offs, but most of them have left me rather underwhelmed. 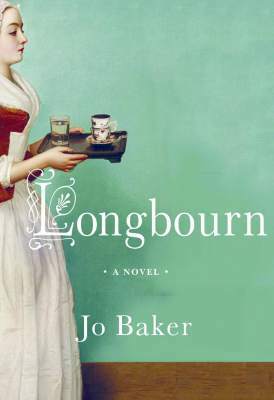 Maybe that’s because most writers have tried to re-imagine Jane Austen’s beloved characters whereas in Jo Baker’s book Longbourn, she observes them. They impact the story only as their actions affect her main characters – the servants. When I was studying Pride and Prejudice at university, my tutor complained that although Jane Austen was writing during the Napoleonic wars, she never discussed the conflict or its impact on society. Then, as now, I found that comment very unfair. Austen frequently talks about the presence of the militia and she was writing to an audience who was well aware what was going on in Europe. Unless one is personally involved in a conflict, war remains an abstract concept. Following the end of English Civil War in the mid-17th century until the first air-raids during World War One, England did not experience war first hand on its soil. All his reservations are addressed in Jo Baker’s Longbourn. Told from the servants’ POV, this is a delightfully fresh approach to a very familiar story allowing us to see the Bennet family, and others, in a completely new light. I loved this story and particularly loved Jo Baker’s voice. I look forward to reading more by this excellent writer. Most writers can usually come up with a great beginning to a story and a cracking end, it’s all that muddy stuff in the middle that’s the problem. Yes, yes, I’d read all about three act structure, rising action blah-blah-blah, but I just wasn’t getting it. And then I happened to go to a workshop given by Michael Hauge. He described structure in a very particular way, and… Ping! ON went the lightbulb. A story consists of two journeys: The Outer Journey (plot) and Inner Journey (hero’s transformation). Once you reach the PONR, neither the plot nor the hero can go backwards. Close to halfway through the movie, Pierce takes Linda back to her house after a date. At 50%, they kiss in her kitchen. (Not a commitment, but this is the first time he’s kissed another woman since his girlfriend died.) They’re interrupted by her son, who wants a glass of water. When he turns on the tap, guess what he finds? That’s right, sulphur. The mountain is going to blow. In both outer and inner journey, they’ve reached the PONR. There is no going back for mountain or man. But that’s what works in movies. What about books? Literature? Jane Austen is one of the most accomplished and beloved authors of all time, and I doubt she ever read a How-to writing book in her life. Her most famous novel, Pride and Prejudice, is about a man who must overcome his pride, and a woman who must overcome her prejudice. Open the book halfway through (or check out the 6 part BBC TV series at the end of episode 3 and beginning of episode 4) and what do you find? Darcy proposes to Elizabeth – the most insulting proposal ever – and is shocked when she, quite rightly, refuses him. With what she knows about him, she vows he’s the last man she’d ever marry. His pride several dented, Darcy returns home to write Elizabeth a letter in which he acknowledges that some of the things she accused him of are true, but he also puts her right on some of her mistaken beliefs. On receiving the letter Elizabeth then begins to question her prejudices. This couple still have a long way to go before the story is over, but from this point on, neither is able to regard the other – or themselves – in the same light as before. The PONR is a powerful tool in structuring your story. Now click on Michael Hauge’s website and check out what he has to say about Opportunity, Change of Plans, and Major Setback.